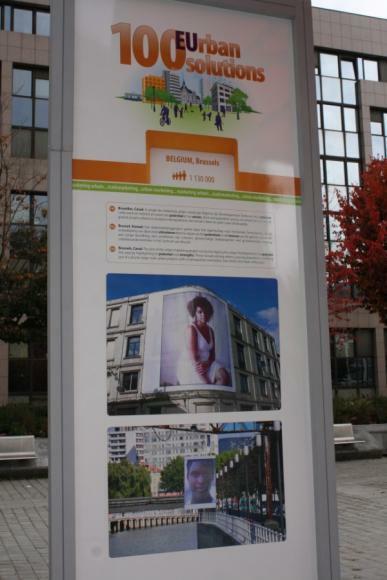 2013-10-09 – The Canal Area – which has been the object of numerous public initiatives in Brussels supported by the European Union – is particularly spotlighted in the ‘100 EUrban Solutions’ exhibition, organised by the Directorate-General for Regional and Urban Policy of the European Commission, and on the promotional tram circulating on lines 92 and 94 in Brussels to promote the event. 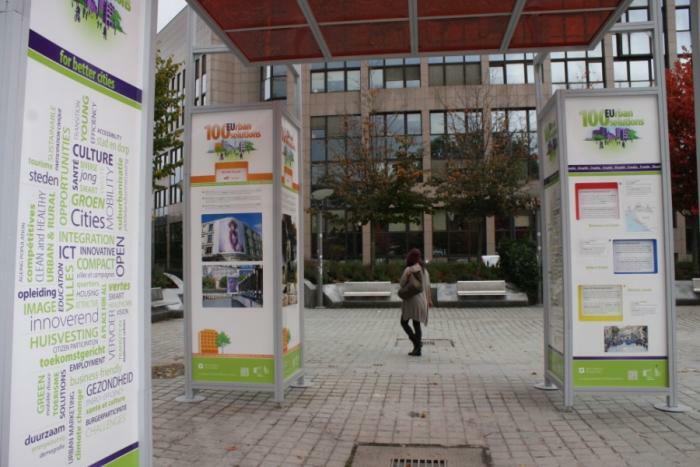 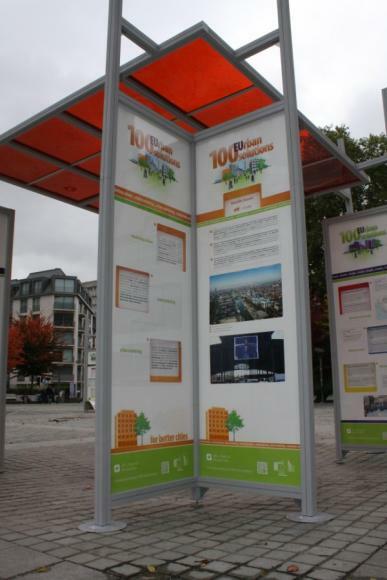 This event, intended to showcase good practices in urban development, will be held from 7 to 31 October at Place Jean Rey in Etterbeek. 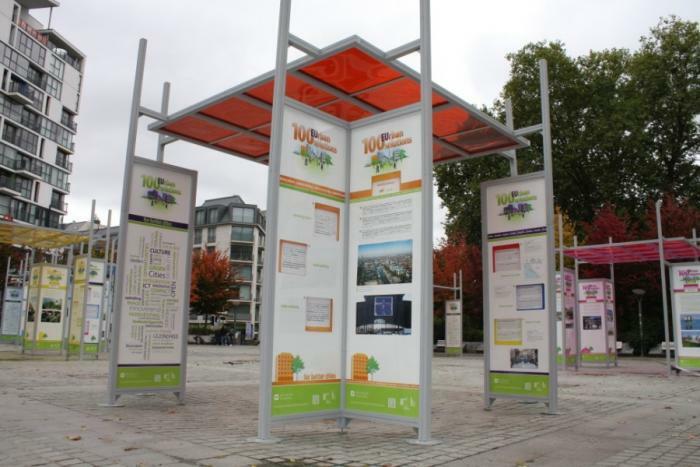 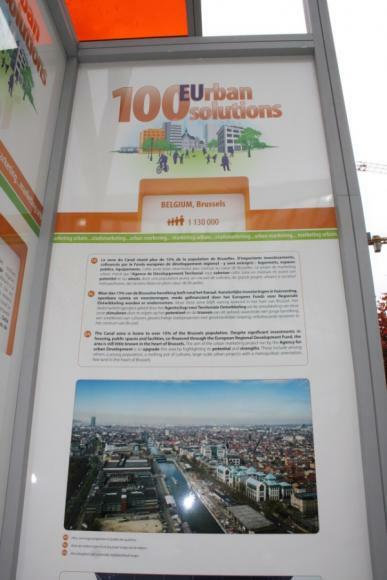 The various initiatives of the Urban Development Agency to draw attention to the Canal Area’s potential and promote its development are presented in the exhibition as one of the ‘100 EUrban Solutions’. 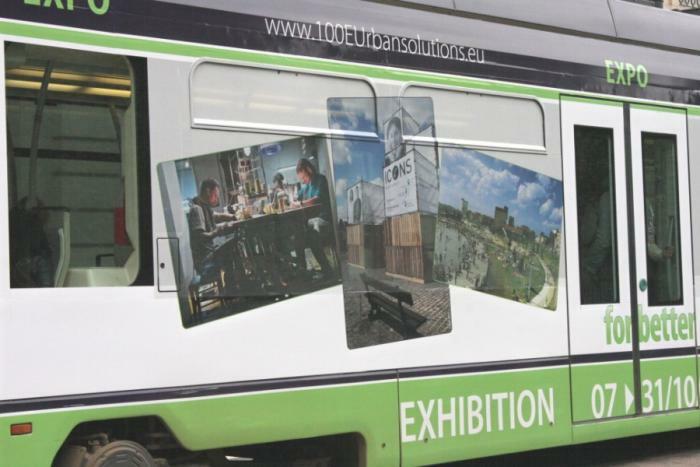 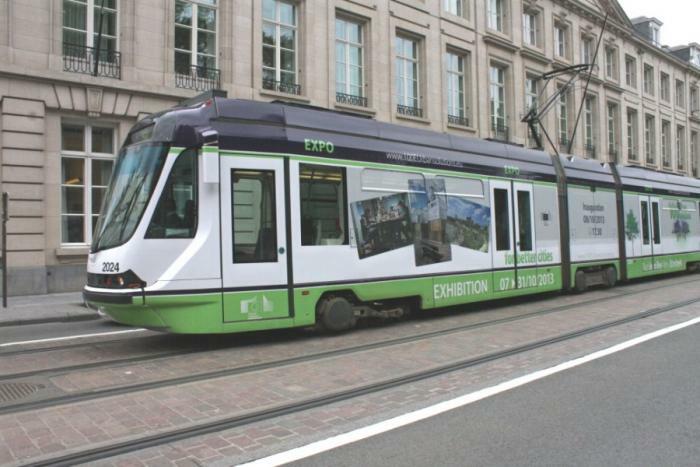 And two out of the six photographs that the promotional tram is conveying around the city relate to this area, including one of the ‘Foto Kanal 2012: Icons’ exhibition organised by ADT-ATO last year.